Latest Design Option 1-1, Dining Room » Roger Perron Inc. Here we have a remodeled dining room in Pasadena. This dining room remodel has a hand-painted mural ceiling with a 1″ drop panel section. 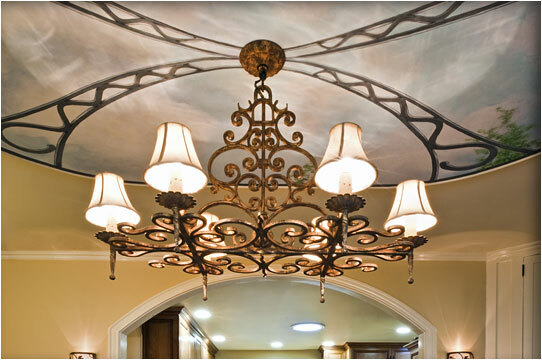 The light fixture is wrought iron. The newly created arch opening establishes a lovely connection to the kitchen. The mural drop is detailed with hidden rope lighting.